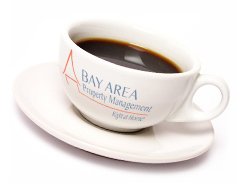 Bonnye Sirk is the Owner and Broker of Bay Area Property Management. Her background in property management includes starting her own company in Glendale, California in 1979 which currently manages over 400 single family homes, individual condominiums and small units. Bonnye has been a member of NARPM (the National Association of Residential Property Managers) since 1993, and was a founding member of the National Association of Realtors property management section. She is also a current member of the California Apartment Association, holding a CCRM designation, and the San Mateo Association of Realtors. Bonnye believes in proactive management and offers a responsive, top quality management experience to both owners and tenants. Taunye is the Bookkeeper for Bay Area Property Management, in addition to managing a small number of properties. She brings over 16 years of diverse job experience in the administrative, legal and financial fields. Her attention to detail and technical expertise are great assets to our company. Taunye is an avid soccer player and fan and enjoys living and playing in the Bay Area with her two children. Heather wears several hats at Bay Area Property Management, serving as a Property Supervisor while running the in-house maintenance crew. She has over 9 years of combined real estate and property management experience and over 12 years of project management experience at various Silicon Valley companies. Heather enjoys reading, soaking up sun and spending time with her daughters.